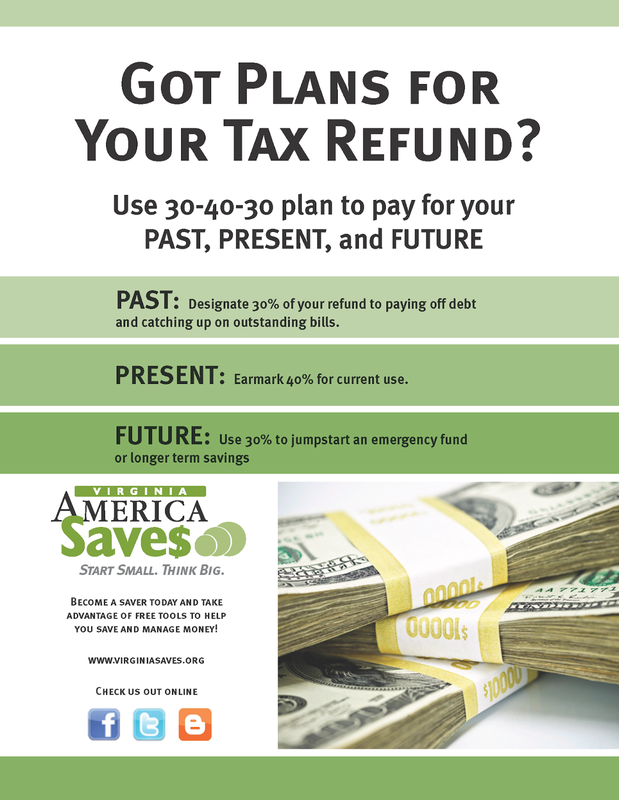 Virginia Saves has offered us a great tool at tax time called the 30-40-30 plan for refund savings. With this plan you can address past, present and future needs with your tax refund. This is a great idea! I am working as a tax preparer in Virginia Beach and I see many people getting significant refunds who don't have a plan to put that money to its best use. This simple 30-40-30 plan could make a BIG difference in their financial futures.